Together, we in No to Compulsory Military Service (Egypt) and New Profile (Israel) confirm our support of peace and of conscientious objectors in both countries, re-affirming the human right to freedom of conscience, faith and self-determination. We condemn the way both our governments treat conscientious objectors: Natan Blanc, Emad El Dafrawi, and Mohammed Fathy. Natan Blanc, 19-year old Israeli conscript who first refused to serve in the Israeli army on November 19, 2012 and since has been in and out of military prison for the last 5 months, and still counting, declared at an alternative beacon lighting ceremony on April 14th 2013: “I refuse because I will not serve in an army that violates human rights regularly. I refuse because I will not serve as a tool to preserve the occupation... I refuse because it is the moral thing to do. I would like to dedicate this beacon to all the Palestinian detainees that are currently held in Administrative Detention… I remember always that while I am here in the spotlight, they are languishing in jail without being convicted of any offence”. Since the right to conscientious objection is one of the basic human rights, as the right to freedom of expression and life, and is recognized in international charters on human rights such as The Universal Declaration of Human Rights and The International Covenant on Civil and Political Rights (both signed and ratified by both Egypt and Israel). 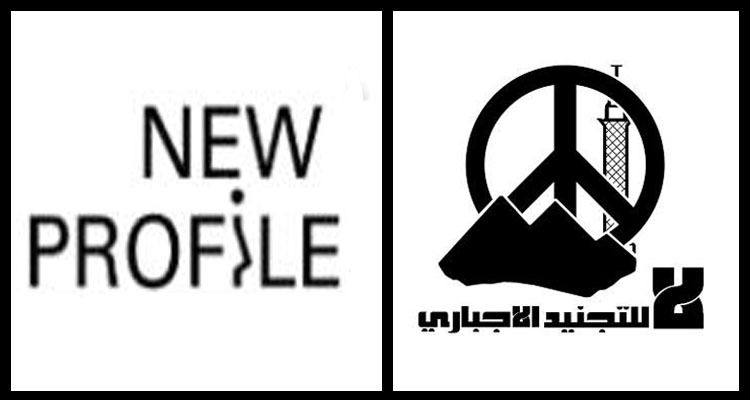 Therefore, the movements No to Compulsory Military Service and New Profile call on both governments to respect international laws and meet their obligations to which they committed themselves in view of the international community, and to recognize the right of Natan Blanc, Emad el Dafrawi and Mohamed Fathy to conscientious objection to military service.